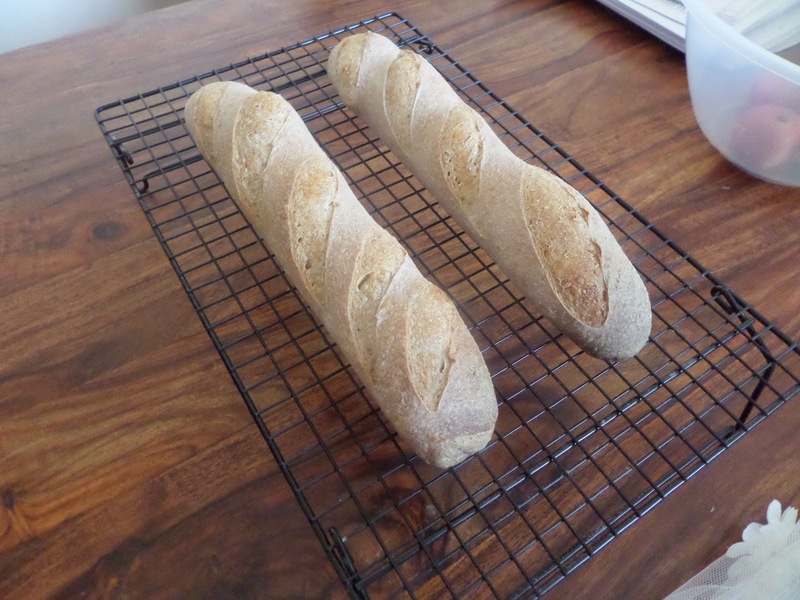 The latest issue of Cook’s Illustrated took on making baguettes more like the French, and it has a lot of really good ideas which I’m going to try out. I’m going to use my Sodo sourdough for the dough. I’ll refresh it on Friday night, and leave overnight. 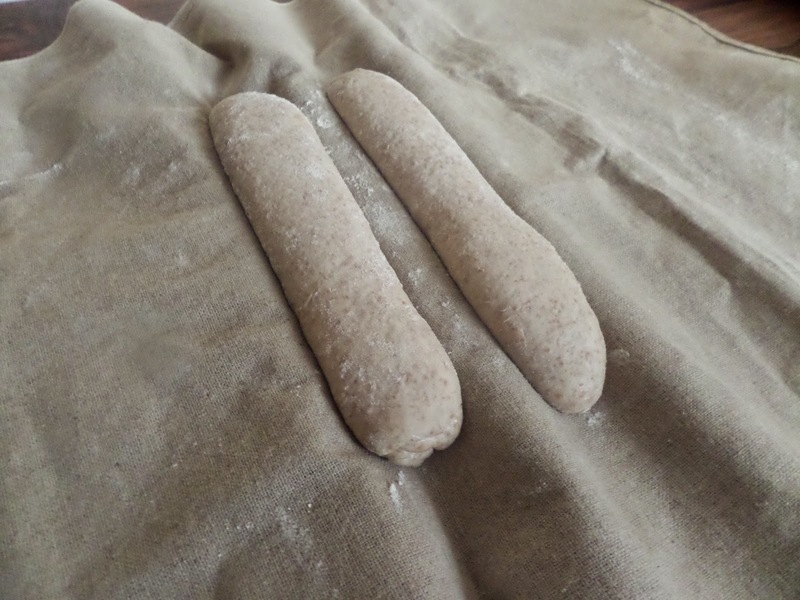 In the morning I’ll make the production sourdough as usual, but add in a teaspoon of diastatic malt powder. Apparently during long ferments the dough can use up all the sugars, and thus reduce the browning effect on the crust. My adding just a teaspoon of this diastatic malt powder gives the dough extra sugars to work with, and so should help give a better crust. 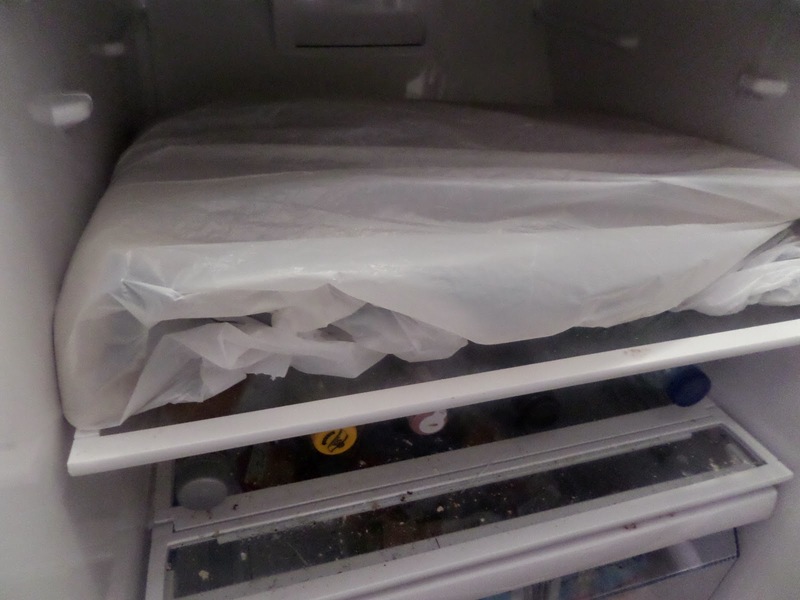 After the normal autolyzing, stretching and folding, I’ll proof in the fridge overnight in a plastic bag. For this proof I’ve bought some proper linen couche, which is apparently the best form of material to use; certainly better than tea towels! 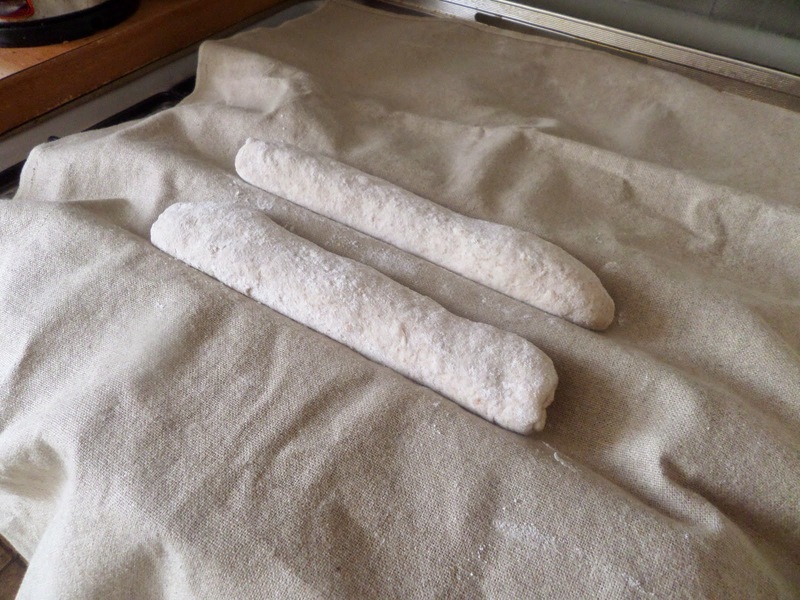 However I’m cheating a bit, and using the baguette cooking rack to keep them in position in the fridge, as trying to transfer them in the folds of the couche into a bag then into and out of the fridge has too many ways to go wrong. 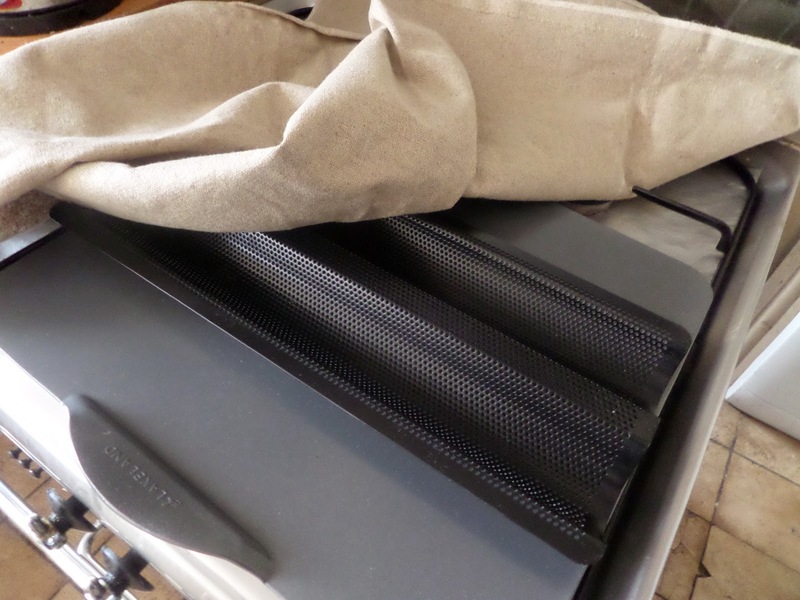 In the morning I’ll put the oven to max (230C fan) with the baking stone in, covered by two large disposable baking trays, which will help steam the loaves initially. An hour later I’ll slash the baguettes using my new lame. Two tips from Cook’s Illustrated here. 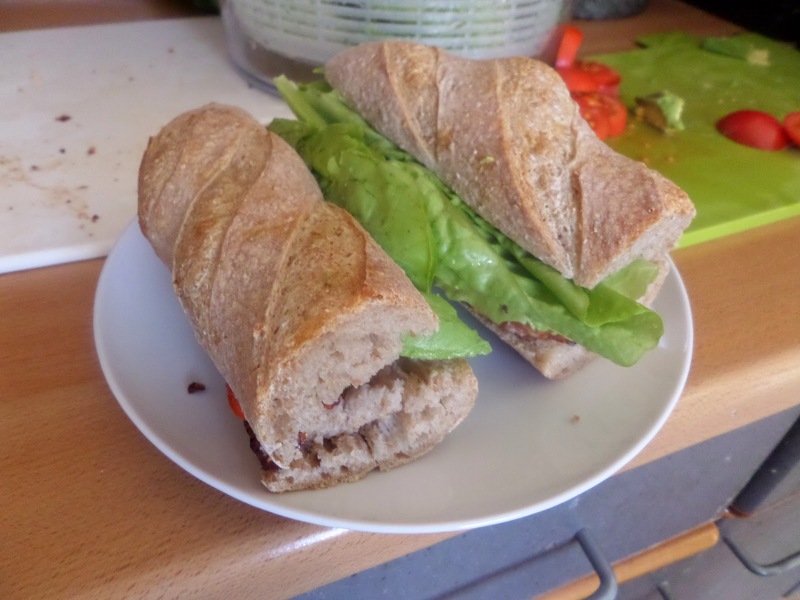 Firstly don’t slash across or at 45 degrees, slash much more along the length of the loaf, overlapping them with each other. 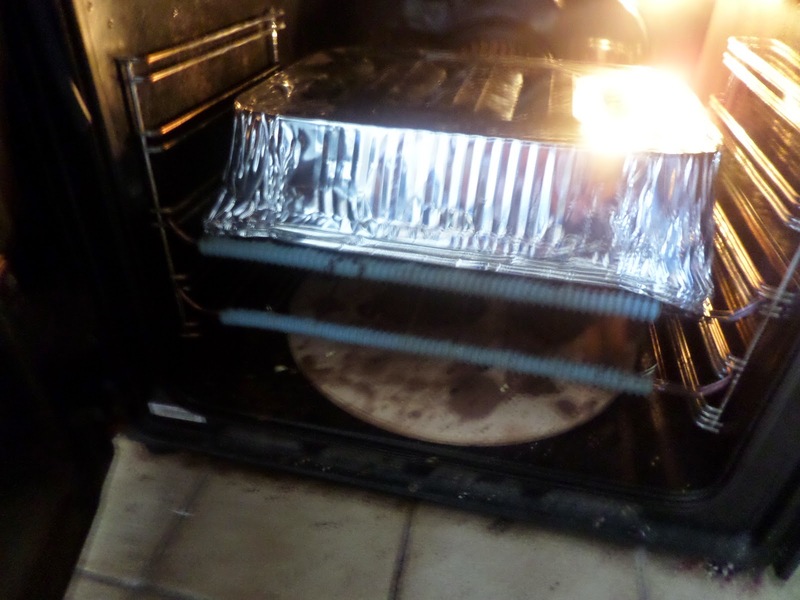 I’ll then spray with water and put into the oven, covered with large disposable baking trays to help steam them. 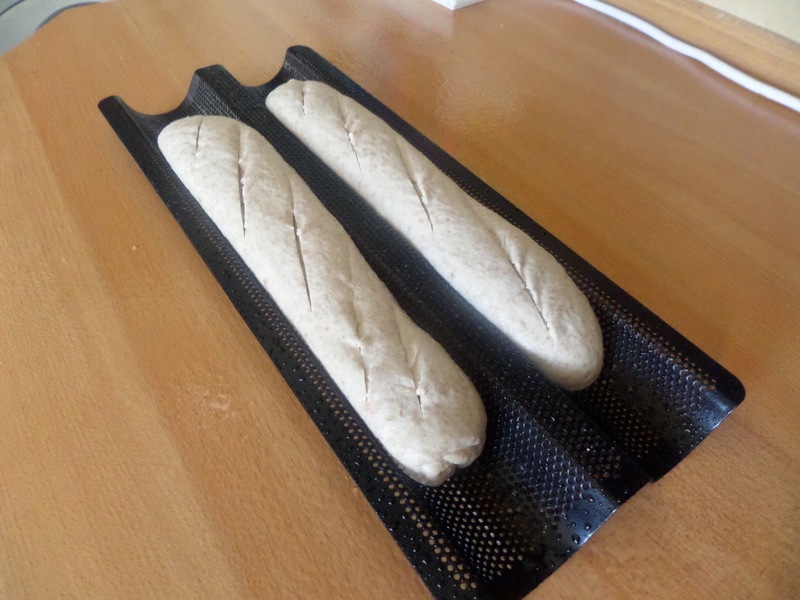 After 15 minutes I’ll remove the baking trays, turn down to 200C fan, and bake for another 15 minutes until a nice crust forms. 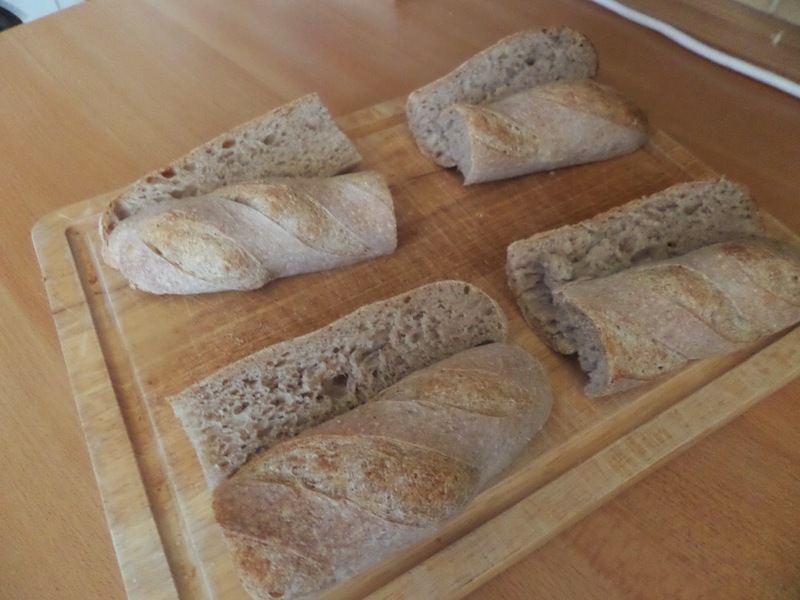 Cutting into them proved they were lovely and crusty, and revealed a satisfying sourdough crumb. 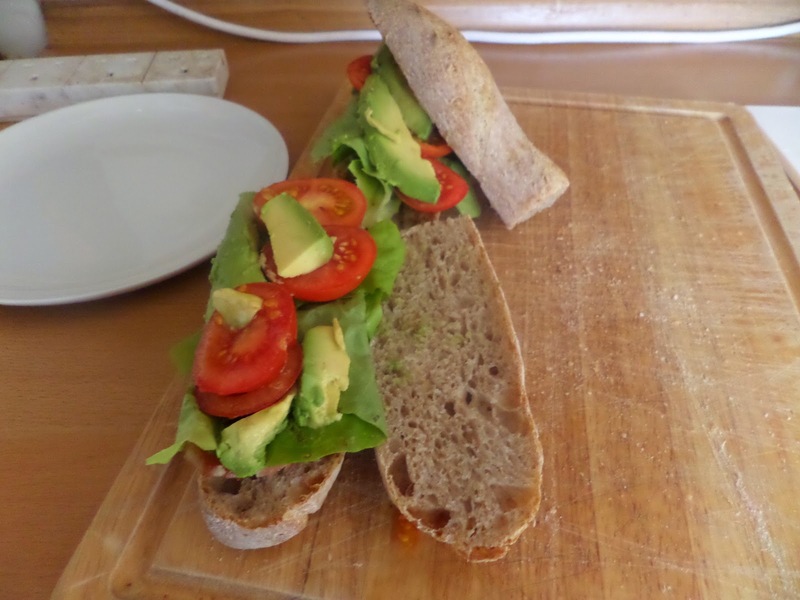 While still warm we’ll eat them as BLATs — Bacon, Lettuce (from the garden), Avocado and Tomatoes (also from the garden). Make more than one each! It’s another world of cooking. Diastatic malt powder??? Even “couche” – all new to me. Must admit the results look great.